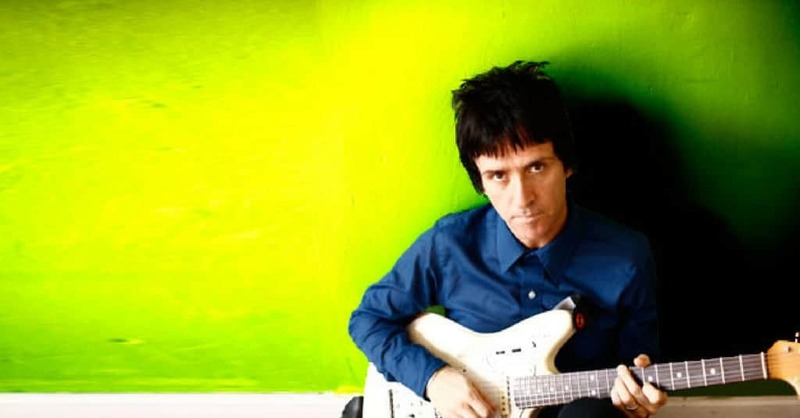 Johnny Marr has been consistently voted one of the most influential and inspirational musicians and still remains to this day a highly successful guitarist. Throughout his long career, he has written unique and massively popular music and achieved these with creative uses of different guitars, effects and other equipment such as amplifiers. The benefits of being able to accurately mimic his sounds are key for a cover band, even for those who want to present the song in an entirely different genre. Even if you’re just looking to get some inspiration and suggestions from one of the best British guitarists to ever live, then you’ve come to the right place. This won’t be an exhaustive list of every single piece of equipment Marr ever used. Much of the older equipment has now been superseded by more useful new versions, and some of it is just too expensive to be practical. Instead, let’s take a look at some of the key points in his career and how he made use of ordinary and affordable gear to produce some of the greatest music ever written. Johnny Marr was known under the surname “Maher”, although it was pronounced the same. He changed the spelling later in life to make it easier for people to pronounce and spell, as well as to avoid confusion with the popular Buzzcocks drummer John Maher. As Johnny Marr was only 4 years old at the time, the guitar was just a toy. This was just a toy, and it wasn’t until he was older that he became a dedicated musician. Until his early teens, Johnny Marr was far more invested in a career as a professional footballer – going so far as to have trials with Manchester City. So what gear does (or did) Johnny Marr play? Since that time Johnny Marr has had many different guitars. He’s been more consistent in his choice of amplifiers, which have tended towards Fender for the majority of his career.In this guide, we will take a look at all of the equipment he has used throughout the years, and how he has combined them to create his signature sounds. Johnny Marr did have more variety in his use of guitars. The 12-String Rickenbacker 360 became the guitar he was most closely associated with as it was the one that most emphasized the jangly arpeggiated style. Despite this, it was only used sparingly, and Marr’s other guitars did see much greater usage. Marr owned two other Rickenbacker 330 guitars, both of them 6-string semi-acoustic. Their open and contoured shape gave greater access to the entire range of frets, and its bright maple tone worked well with Marr’s tendency to tune his guitars up to accommodate Morrissey’s vocal range. Getting either of these is a serious investment, so it may not be the most practical way to achieve his tone, especially if your budget is nowhere near close enough. Thankfully, most of Marr’s distinctive tone is based in his playing technique and other, less costly options. Perhaps one of his most well-known riffs is in ‘This Charming Man’. Despite his famous use of Rickenbacker guitars, this particular piece of music was recorded using a ‘54 Telecaster – and it featured heavily in other Smiths recordings as well. The guitar itself was passed around a few times before coming to Marr and had been refurbished by John Porter, one of the producers for the Smith’s first album. When Porter first got hold of the guitar, it was a barely functional mess. The nut was broken, and a number of frets were missing alongside other issues. Somehow, he was convinced that the not-quite a guitar was worth £17, and then proceeded to have it fixed up. Because of this getting hold of an exact replica isn’t feasible, but the takeaway is that almost any Telecaster will do in a pinch, so you can save money by opting for a similarly robust guitar that will play comparably. Another affordable way to create the same light tone is to use appropriately light gauge strings. This can create buzzing on the fretboard, particularly if you also have your guitar set with low action. Since you also have more options for digital alteration, you don’t need to have the exact replication of the gear that Johnny Marr used to recreate the sound they made. In his later work which featured heavier use of electronics and digital effects, you can likewise substitute much of the actual equipment used if it has the same capabilities. On The Smiths’ 1986 tour it was Marr’s Gretsch Super Axe that came to the front and center, seeing extensive use during his live performances. Trying to find these today is… difficult to say the least. The rarity of these guitars stems from the short production run they had back in the 1970s when they were first made – so trying to find one of these isn’t the most practical idea – especially when it was only used sparingly in comparison to Marr’s other guitars. However, it’s worth noting that it was the with the Gretsch that Marr first began to tune his guitar up a full-step rather than using a capo to accommodate Morrissey’s vocal range. Marr didn’t just restrict himself to using standard tunings though. He explored various tunings and other different techniques to push his musical horizons further and further. By the time Strangeways, Here We Come was released, Marr had grown to hate the phrase “jangle” in reviews of his music. For anyone trying to replicate his style, it’s important not to get too fixated on his early work in The Smith’s which earned him the title of the “jangly guitarist”. Similarly, it’s not strictly necessary to use all of the same types of instrumentation, as he was also prone to experimentation. He incorporated harder guitar sounds and distortion later in his career. This was mostly due to his growth as a musician, but there was also less need to rebel against the harder Les Paul driven rock sound that dominated the British music scene previously, so Marr was freer to incorporate these elements into his own music without fear of blending into the harder rock styles of The Who and other bands which favored a more biting sound. It wasn’t just electric Guitars that Marr used – he was a dab hand with an acoustic as well. He can be seen playing a Gibson J160 on the tracks “William, It Was Really Nothing” and “Please Please Please Let Me Get What I Want”. The acoustic guitar is particularly noticeable on the latter track, due to its very minimalistic composition. He is also a fan of Martin acoustics, in particular, a D28 and D45 which he has used in recordings and tours during his time with The Smiths and in later performances. Getting hold of either one of these can be prohibitive, but Martin has been a consistently high-quality producer of acoustic guitars, so you can really just take your pick there. Rather than trying to find a guitar that sounds just like the ones that Marr uses when he goes acoustic, it would be more sensible to find a guitar that you just enjoy playing. In 2006 Johnny Marr joined the American Indie-Rock band Modest Mouse. Isaac Brock gave him a Fender Jaguar – and Marr quickly became enamored with the guitar for its distinctive tone. There were some elements of the guitar that Marr felt needed improvement, so he worked with Fender to design his own signature version of the Jaguar, and the instrument they finally produced is a guitar that holds up his legacy well – although it’s been heavily modified from the standard version. There are two elements in particular which he changed: the bridge, which he swapped out for a Mustang, and the pickup switching system which he altered to more closely resemble a Telecaster. His signature Jaguar is not the cheapest instrument in the world, and a vintage Jaguar will easily run up to the same cost. As always, there are alternative options if you’re running on a tighter budget than a Rock God. If that just so happens to be the case, then you might like to take a look at the Squier Jaguar instead. These cost just a fraction of the price, but are almost identical – although the pickups are configured slightly differently, it still possesses the same single-coil driven bright sound and the short scale responds well to Marr’s readily identifiable light and melodic style. Johnny Marr has proven dedicated to his choice of Fender Amplifiers. For much of his touring career with The Smiths, he used a Fender Twin amplifier, as he particularly liked the way it combined with the sound of his Rickenbacker guitar. He did use other amplifiers on occasion, notably a Roland Jazz Chorus (JC120), although in the end he was never satisfied with the way this amplifier sounded in recordings. His pairing of the two, along with a relatively minimalist amount of gear and his own style of playing, has become iconic of his music set up. Marr’s choice of amps is linked heavily to what he described as ‘fashions’ in the world of guitars. In a video on his youtube, he recalls that the generation above him heavily favored more distorted and gritty amps, often using Marshall amps in the same vein as Jimi Hendrix. In this regard, there are many Fender Amps out there that will suffice. There is one particular Fender tube amp that he recommends – the Fender Deluxe – and thankfully these are versatile enough to enable you to recreate the various tones he has used in his music from his early work in The Smiths up to his current work. The Fender Deluxe was very prominent during his work with Modest Mouse and The Cribs. The original silverface models can occasionally be found online for sale at a decent price, but there are cheaper alternatives available. Many vintage tube amps will work, and even newer solid-state amps can work just as well in a pinch, particularly if they have modeling capabilities. If you’d rather find something a little cheaper that still has excellent capabilities, take a look through our guide about modeling amps. In Johnny Marr’s earlier work, he used a variety of analog effects. Of course, this was by necessity as digital effects and solid-state amps weren’t around at the time. There are two options for those wishing to emulate this: you can either source authentic vintage equipment, or go for an easier life and find modern equivalents. If you decide to go for alternatives, then bear in mind that Marr does not exclusively use analog or solid-state digital equipment, but uses them wherever he feels they are most appropriate. For example, Marr’s work on the Inception soundtrack featured mainly analog effects – but on his 2014 solo tour, he incorporated a lot of fairly standard digital effects from the Boss range amongst a few others. Marr has given some heavy praise for the BOSS GT 100 pedal – and it’s well deserved. As a multi-effects unit capable of modeling some very vintage sounds, it also possesses a remarkable level of flexibility for other styles of music beyond what he used in The Smiths. This makes it perfect for those who want to sound like Marr, as it means you can do more with less, but also gives you the chance to experiment with music in other ways too – which is something Marr himself has been a fantastic inspiration for. The best bit is that, like most Boss effects pedals, you can pick them up quite cheap on Amazon. It’s not enough just to have the pedal though – learning to master it is the key to making the equipment reach its potential. Marr often combines various different elements to create new sounds, mixing envelope filter effects (using the Lovetone Meatball) with delays and different levels of reverb to create some unforgettable passages. If you’re looking for the perfect example, take a look at this video below to see how Marr uses the BOSS GT 100 to fantastic effect while playing some of the riffs from “How Soon Is Now?”. In the video, he comments that it’s more like “producing with your feet” than using effects, and this can be seen in how his use of effects isn’t imposing on the tracks, but more how he adds feeling and coloration to add more interesting progression to his music. He doesn’t just use the BOSS GT 100 all by itself of course. Although it’s a powerful piece of equipment that would have required several people and way too many cables to do the same thing back in the day before multi-effect processors, it can only do so much at once. However, adding just a few more choice pieces can bring out the next level that we didn’t even realize was there. Key among these is the addition of extra footswitches such as these Boss FS-5L switches. These allow for more freedom of expression, as you can quickly chain together very different effects, choosing to bypass others and giving easier foot-based control over your equipment in general. There are other effects units that Marr is well known for using. Part of the distinctive tone he developed early in The Smiths owes itself greatly in part to a compressor – a guitar pedal that lacks a lot of the obvious impact that comes with wacky effects. Marr was never one for using one crazy effect after another and instead used more subtle distinctions. Combined with multi-effects pedals, a decent guitar compressor may be all you really need. You may want to get a few dedicated pieces here and there, but you could honestly stop right there and be fine for much of his music. There are a couple of more unique applications of effects that may require additional gear in some of his songs, but they aren’t all that common. 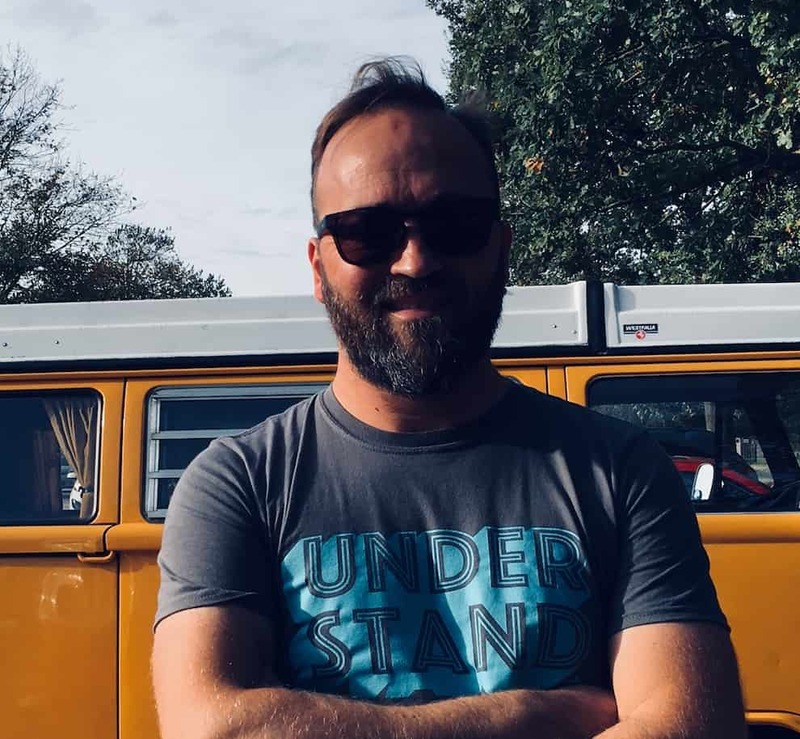 If you’d like to take a look at some slightly more in-depth look at some of his other equipment, the good folks over at the gear page have put together a few suggestions here. Marr made extensive use of the built-in chorus effect of his Roland JC 120 during his work with The Smiths, but he expanded his collection and use of effects through pedals. Likewise, you can be free to use in-built effects, although these are less useful than pedals when playing., so you’d be better of sticking with the Boss CE2 mentioned above if you don’t go for the multi-effects route. Considering that Marr himself was not a huge fan of the JC 120, there’s no reason to invest in one of these amps just for the effect built-in. Another key thing is that Marr wasn’t being supported by another guitarist, so he would have to perform his own lead and rhythm sections together. In fact, his use of layering and overdubbing is possibly the real thing that defines his tone – not the ‘jangly’ sound. The way he originally achieved this was by use of a four-track, and it’s still a perfectly viable alternative today. However, it would be silly to ignore the possibilities that are enabled by using the equipment you already have. Most laptops, with a few extra bits and pieces here and there, are very capable of performing multiple roles – allowing you to create effects and layering through software alone – and you can achieve some pretty spectacular things with a MIDI guitar and an audio interface such as this one by M-Audio.